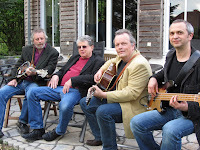 Bluegrass in Belgium reports that the end of April and early May is a busy time for Belgian bluegrass bands, with the Sons of Navarone, the Straps, Rawhide, and Blue Maxx all playing dates up to and including the European World of Bluegrass (EWOB) Festival on 9-11 May. 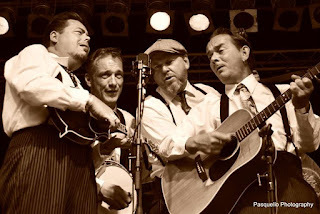 Bluegrass in Belgium also notes that the Chicago-based Henhouse Prowlers bluegrass band (photo), who toured in western Europe early in 2012, are back in Belgium, the Netherlands, and Germany for a tour that began on Thursday (25 April) and will last till 12 May. Tonight they are in Antwerp, on Tuesday in Eindhoven, and then in Liège (1 May), Brussels (2 May), Eeklo (3 May), Lichtaart (4 May; private concert), Sluis (5 May), Dordrecht (7 May), Wortel (8 May), Eikefliet (9 May), Lichtenvoorde (10 May), Zottegem (11 May), and back to Brussels (12 May). Full details, including links to venue websites and location maps, are on the band's online tour schedule. It's with great pleasure that I reach out to you with some news. The last two years I've been focused on recording a new album, and it's now available for purchase at iTunes, Amazon, and CDbaby. 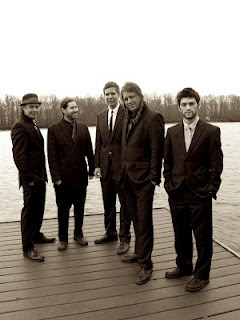 A recent review by Lucid Culture indicates the musical diversity, yet it still sits firmly in the bluegrass roots category, in my humble opinion. Vincent adds that he will be more than happy to send a CD or dropbox tracks to any blogger interested in reviewing the album. More details are on the Bluegrass Ireland Blog, including a substantial assessment of the album by John Weingart, host for more than 33 1/3 years of 'Music You Can’t Hear On The Radio' on WPRB-FM and WPRB.COM in Princeton, New Jersey, and also Associate Director of the Eagleton Institute of Politics at Rutgers University. More news from Beppe: his International Acoustic Guitar Workshop in Ambroz on the Slovenian Alps is one of the oldest in Europe, and in the next edition (July 2013) he will be joined by American master Mike Dowling and UK master Chris Newman as guest teachers. As usual, overseas students are expected; the place is also a good location to start touristic journeys to Venice, Vienna, the Croatian coast, the Dolomites Mountains, and more. For bookings and info, visit here. The workshop is also on Facebook. Beppe is honoured to be featured in the beautiful CD Storie di Napoli ('Neapolitan stories', CD Alpha 532) by the great early music ensemble Accordone, in a musical journey in Naples from the sixteenth century to today. A three-part CD trailer, with English translations, can be seen on You Tube: part 1, part 2, part 3. Beppe also draws attention to some of his YouTube videos - 'Italia Bella' (an old traditional Italian song); 'Acoustic Night 12' (Canada); 'On the road with Mama' (cartoon); 'Gator Strut'; 'Picking the Guitar' (live National Italian Radio from the Quirinale Palace); and 'Thunderation' (w/Dan Crary) - as well as to his official YouTube channel and Facebook for regular updates. Thanks to Walter Fuchs, director of the International Bühl Bluegrass Festival, for the news that the sensational Belgian bluegrass film drama The Broken Circle Breakdown will be shown tonight (Wednesday 24 April) in Karlsruhe, Germany. The screening will be followed by a live performance in the cinema by the musicians featured in the film, the Broken Circle Bluegrass Band. Update 25 Apr. : We hear that the film showing and live performance in Karlsruhe sold out the cinema, and that a second night would have been possible. Thanks to multi-award-winning Australian bluegrass artist Kristy Cox [see the EBB for 12 Feb. 2013] for the final schedule - shown below - for her tour in Europe next month. Lachlan Davidson of the Davidson Brothers will be on the tour as mandolin player. In addition to her onstage performance at the EWOB Festival, Kristy and her band are likely to be playing at venues around Voorthuizen during the festival. Thurs. 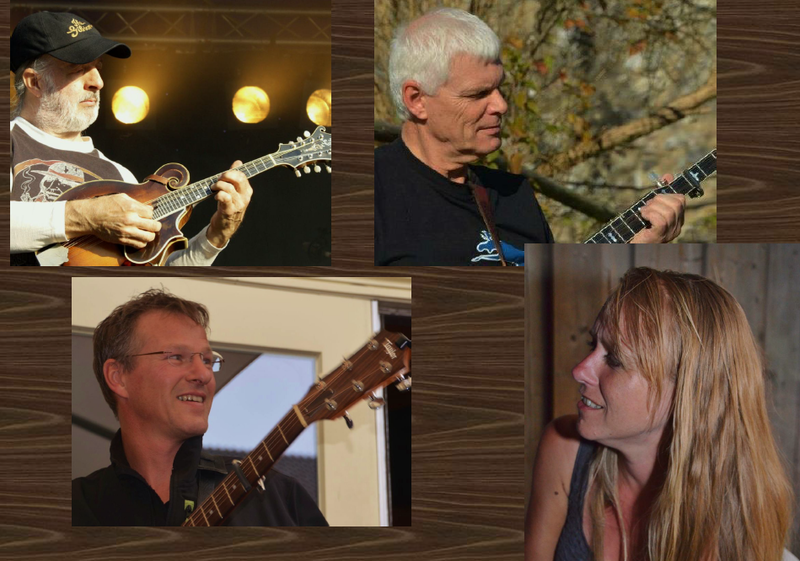 9 May Taveerne Tivoli (Restaurant), Zwolsestraat 63, 8101 AB Raalte, the Netherlands, 5.00 p.m.
Fri. 10 May European World of Bluegrass Festival, 't Trefpunt, 3781 BA Voorthuizen, the Netherlands, 10.30 p.m.
Sun. 12 May (with Si Kahn and the Looping Brothers), De Oude Veiling, Marktstraat 19, 1431 BD Aalsmeer, the Netherlands, 3.00 p.m.
Foyer de la Musique à Surbourg, Rue du Mar Leclerc 67250, Surbourg, Alsace, France, 8.00 p.m.
Karens Minde Kulturhus, Wagnersvej 19, 2450, Copenhagen, Denmark, 8.30 p.m.
Sun. 19 May Grevengrass Bluegrass Festival, Greven, Germany, 8.00 p.m. 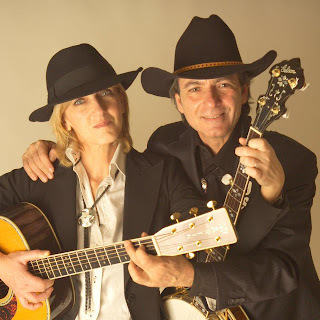 The Bluegrass Boogiemen (NL), together with Roni Stoneman, the USA's legendary 'First Lady of Banjo', and Kidnap Alice (UK), are among the fourteen acts scheduled to take part in the 7th Westport Folk & Bluegrass Festival (14-16 June 2013), in Co. Mayo, in the west of Ireland. Events begin at 6.00 p.m. on Friday 12 June and continue till Sunday evening. Admission to all events is free, apart from the main Saturday evening concert (€15; 8.30 p.m.) and the Sunday evening concert - a new feature this year (€10; 9.00 p.m.). Further details are available on the Bluegrass Ireland Blog or by contacting Uri Kohen ('phone +353 87 757 0958 or e-mail) or visiting the Festival Facebook or Festival website. 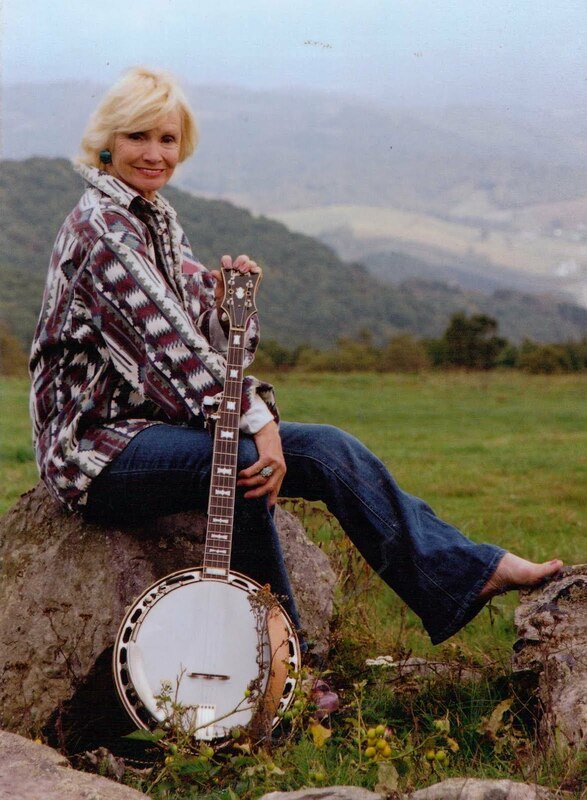 Dangem Bluegrass recommends, we should all respect our Mums so play your Banjo around here! Look forward to seeing you all Old & New. C. Paul Lyttle ('Dobroman'), presenter of the 'Criffel Creek' fortnightly radio show and organiser of the Moniaive Michaelmas Bluegrass Festival in Scotland, announces the confirmed lineup of bands/artists for this year's 'Wee European World of Bluegrass' - 5th Moniaive Michaelmas Bluegrass Festival 2013 (27-29 Sept.). 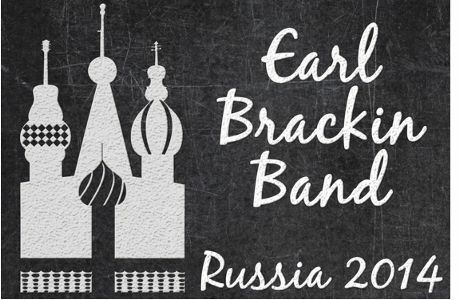 In addition to Longway and Mairi Orr & the Borrowed Band from Scotland, the bill includes three bands - the Lee Valley String Band, the Watery Hill Boys, and Cup O’Joe - from Ireland, Stringcaster from the Netherlands, and Legs Levens Appalachian Clog Dancers. YouTube video clips of the scheduled acts can be seen on the Festival website. The Sons are lucky again to have found a first class replacement with Yves Aerts. He's a terrific guitar player and a great singer, who also plays with Rocks & Ivy and who use to front Blue Cartel. Bluegrass has been getting more exposure than ever on French national radio and TV as singing star Stéphane Sanseverino brings out his new album "Honky Tonk" and embarks on a major national "Bluegrass Tour" with established bluegrass musicians Christian Séguret and Jean-Marc Delon in the band. The tour started in March and will continue through the summer. It will be interesting to see what impact this will have on the popularity of Bluegrass music beyond the buzz around this album and tour! Meanwhile the FBMA annual spring weekend is scheduled for June 14-16 in the lovely town of Vichy (in the centre of France). The FBMA is branding this as a European weekend and invites participants from neighbouring countries to join in what has traditional been a great jamfest. To emphasise the new European perspective, the Saturday concert will feature Sons of Navarone, Four Wheel Drive and Rough and Rocky Road. Information about signing up for this weekend can be found on the FBMA website ( france-bluegrass.org ). The line-ups for Craponne Country Rendez Vous and La Roche Bluegrass Festival are now decided and can be found on the respective festival websites. 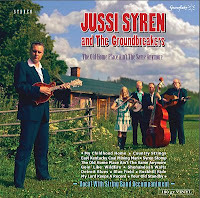 The old home place ain't the same anymore, the eighth and latest album by Jussi Syren & the Groundbreakers of Finland (last mentioned on the EBB on 3 Nov. 2012), has been given a Highlight review in the April 2013 issue of Bluegrass Unlimited magazine. The review by Bill Wagner includes the words: 'That true traditional sound, the one that probably drew the vast majority of us to bluegrass, that’s the core and the beauty of [this album]. Few bands of the last thirty to forty years have captured it so well' and 'From start to finish [...] this is a pure joy of a recording.' Read the whole review here. Thanks to Brian McNeal of the Prescription Bluegrass Blog for news of World Fiddle Day, which this year will be held on Saturday 18 May - the Saturday closest to 19 May, anniversary of the death of Antonio Stradivari. World Fiddle Day (WFD) was founded last summer by Caoimhin Mac Aoidh of Donegal in north-west Ireland, and Michael D. Higgins, president of the Republic of Ireland, is its Patron for the inaugural year 2013. It is for anyone throughout the world who plays, or simply enjoys, the music of the extended family of bowed instruments in any genre of music. The WFD website includes Vassar Clements and Chubby Wise in a list of past masters of the fiddle. More details are on the Prescription Bluegrass Blog and the WFD Facebook, where you can see the music notation for 'World Fiddle Day reel' and a video showing the reel being played (also on YouTube). Like the Prescription Bluegrass Blog, we hope that bluegrass and old-time fiddlers will be actively associated with the Day. World Fiddle Day falls just a week after Declan McCarthy's Baltimore Fiddle Fair (9-12 May) in Co. Cork. This sounds like an exciting event in beautiful Bavaria! Thanks, Adiaha, for sharing this with us! BCM 2013 in Aschau / Chiemgau from 4th - 7th October – 3 days intensive learning from the pros! It's a real beauty, handmade from various hardwoods, and we are already fighting over whether it should go home with me, or be displayed in the reception area of the RTÉ Radio One building for all to see. The reaction to my EBMA award has been nothing short of remarkable. Hot Press magazine took about forty photos of me holding the award for their next issue, and now I hear that IMRO are wanting it for display in their reception area... Moira [Niall's wife] wants it on our sideboard. At this rate I may have to consider the possibility of having replicas made. I'd like to thank all at RTÉ for their support, and all at EBMA for naming me the European Bluegrass Personality Of The Year 2012, and I'll do my utmost to live up to it! Niall﻿'s 'Roots Freeway' programme returns to RTE Radio One on Saturday 1 June. He invites bands and musicians to send in CDs. The successful Belgian movie "The Broken Circle Breakdown" is being exported to other European countries. Concerts by the two main actors along with a few other musicians (including Bert Van Bortel of Rawhide) are planned in Germany, Austria, the UK and France to promote the movie. Belgians bluegrass bands like Rawhide, The Sons of Navarone, Rocks & Ivy, Blue Maxx and more are surfing on the bluegrass wave the movie created. Requests for concerts, interviews for national and local papers are flowing in. A triple CD featuring country and bluegrass has been released by Radio 1 and is being promoted on national radio around the clock. The set includes tracks by Tony Rice, Bill Monroe, The Stanley Brothers, ... and some Belgians: Rawhide and The Louvat Brothers. Banjo player for Blue Maxx, Dieter Van Peteghem, and his brother are organising the first Low Country Bluegrass Festival www.lcbf.be This 2 day festival with have 11 bands from Belgium, The Czech Republic, The Netherlands and the UK. 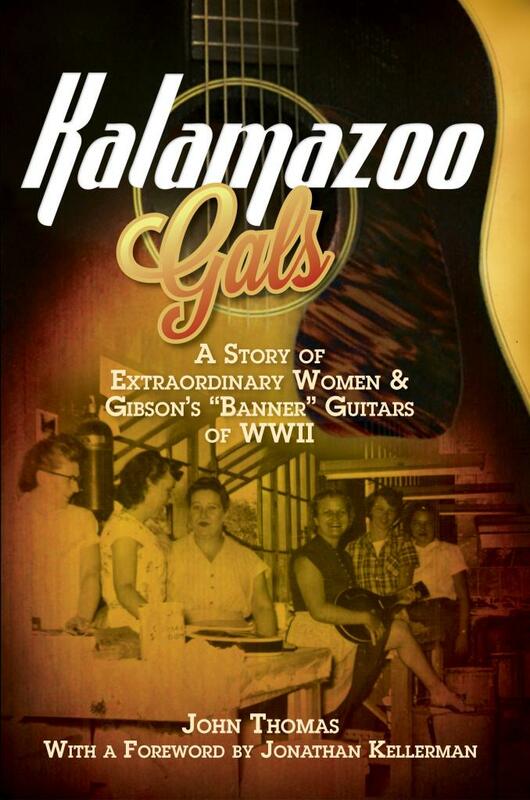 Kalamazoo Gals: A Story of Extraordinary Women and Gibson’s “Banner” Guitars of WWII is a captivating new book. 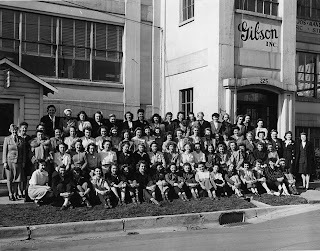 It all started with a photograph of 71 women in front of the Gibson instrument factory in 1944. Thus the author's journey began. Thomas would set out on a quest to find the female employees who posed for this photo in front of the original Gibson factory in Kalamazoo, Michigan. The result is a fascinating history of a relatively small group of women and much more. Wanting to contribute to the war effort, these ladies literally began walking into the Gibson Company factory in January 1942 with absolutely no experience and no training, yet ultimately built 24,000+ Gibson instruments from 1942-1945. Some 9,000 of those instruments were the "Banner" guitars. That term is based on the guitars with the gold color banner decal on the headstock which simply stated: "Only A Gibson Is Good Enough". This specific logo only appeared on the guitars made by this group of women during that short period during World War II. As part of his research John Thomas uncovered thousands and thousands of files. Included in that mountain of paper were handwritten ledgers thought lost forever, but found in the Gibson company quagmire of old paperwork. He actually tracks a bit of history of some of the "Banner" guitars through these ledgers. Thomas also coordinated a thorough X-ray project. Complete state-of-the-art X-rays were taken of several "Banner" guitars. The idea was to detect any variations in construction or technique from one guitar to another. Interesting results and details are described in the book. - An extensive search for personal information and history about founder Orville H. Gibson, revealing a somewhat eccentric inventor who left confusing information about his past. - The Gibson Company (until this book was published) never acknowledged the female workers now referred to as the "Kalamazoo Gals". As late as 1973, the company not only denied any knowledge of those women, but stated no instruments were ever built during that period when over 90% of their workforce were women. - Gibson's wooden toy making business. The company built toys using scraps of wood from their instrument workshops. These toys helped Gibson survive during the Great Depression of the early 1930s. - The author gives a detailed account of last year's "Innaugural Country Music Sale" at Christie's Auction in New York City. An historic auction which included items once belonging to Johnny Cash, Waylon Jennings, Carl Perkins and a long list of legendary figures. 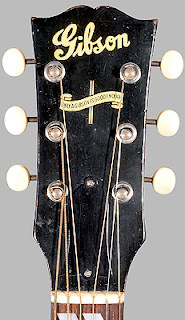 Some highlights were Buddy Holly's Gibson "Banner" guitar, Hank Williams' 1947 Martin D18, Roy Rogers' guitar, Bill Monroe's original 1923 Gibson F5 mandolin Ebony faceplate from the headstock (from which Monroe had removed the "Gibson" inlay with his pocket knife). The author's recollection of that auction visit is fun to read. - Also a very interesting section about Woody Guthrie and Russ Barenberg's "Banner" guitars and much more. But back to the core subjects of this excellent book; the inexperienced 'Kalamazoo Gals' who somehow rose to the occasion and miraculously produced beautiful guitars with superb tonal and playing qualities. Qualities which make these "Banner" guitar models highly sought after by savvy musicians and collectors today. If you own a Gibson guitar with that gold colored banner decal pictured below, you know it was made by a craftswoman in Kalamazoo, Michigan between 1942 and 1946. “I just watched the person working next to me and copied what she did." Rarely does one read a more entertaining, enthralling and, at times, emotional account of music history as we do throughout this writer's journey. Thank you, John Thomas for sharing this "gift" that came to you. Thank you for sacrificing so much of your family time, and for investing so much of your own money into this extraordinary project. Thank you for not allowing the mounting expenses involved to stand in the way of this high quality book I now hold in my hand. Keeping the cost of this invaluable history at under $20 U.S. Dollars is another sacrifice, and we thank you for that as well. But most of all -- Thanks for a deserving story now told to the world about an important, yet all but forgotten and unheralded group of women who posed for one mysterious single photograph in 1944. These Kalamazoo Gals who arguably saved Gibson Mandolin and Guitar Manufacturing Company when they built such unique collectible guitars, in one unpredictable four-year period of American history. Format: 6" x 9" perfect-bound paperback with hinge crease, and 20 coated pages; museum quality printed in the United States of America on acid-free paper. 288 pages, including 158 images of Kalamazoo Gals, guitars, and vintage material. The goal of this registry project is to produce a searchable online data base of historical and technical information for the 'Banner era' Gibsons. Also, an updated list of Factory Order Numbers (FON). If you would like to help with this registry project, please contact Willi Henkes in Germany at the Registry Project website with photos and information about your 'Banner' Gibson instrument. They would like full front and back photos, the tuners, the neck block and any unique features if possible. With your permission, they would like to post these photos with the FON list. The first annual Clarinbridge Banjo Gathering weekend was a resounding success, featuring a stunning sold-out performance of 'From Senegal to Seeger' by American banjo player Michael J. Miles [photo] - in addition to workshops, a vintage banjo exhibition, musical performance at church service, and a weekend of sessions and jams. Clarinbridge is home to Ireland's premier banjo luthier, Tom Cussen of Clareen Banjos. Full details of the weekend (12-14 April) are on the Clareen Banjos website. Si Kahn and the Looping Brothers perform a house concert at 'Het Blauwe Huis' in Vlagtwedde, NL on May 7, 2013. They are performing together on this night in a CD Release Concert for their new recording called, "Aragon Mill: the bluegrass sessions". The evening begins with a new group of familiar faces who occasionally perform as Janis McCoury and the Wall Of Sound. Het Blauwe Huis is located where the 'Home of Strictly Country' once stood. 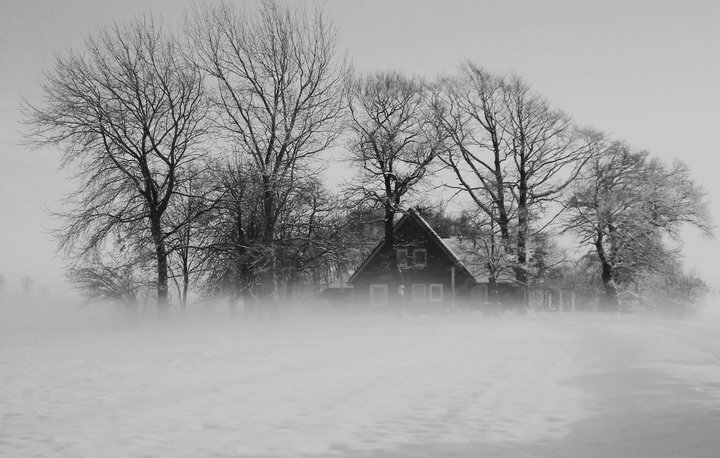 Unfortunately that piece of European bluegrass history, a Dutch farmhouse where so many American music pioneers and various artists performed house concerts since the 1970s, tragically burned to the ground in 2001. However family member Liz Janssen-Meesters built her home there and carries on the music tradition. The home offers a very limited but intimate space for acoustic music. Reservations in advance are suggested. Details, directions and snacks & drinks will be forthcoming to those who reserve their seats. Pay admission at the door. 100% of the entrance fee goes to the artists. Calling All Posters! If you have any posters you have considered donating to the International Bluegrass Music Museum, now is the time to do it. During ROMP 2013 (June 27-28-29) the museum will open a new exhibit - Bluegrass in Posters. We want to give our members an opportunity to contribute to this project by inviting you to donate posters for possible inclusion in the exhibit. We cannot guarantee that all the posters donated will be included in the exhibit, but we can guarantee that they will be given a good home at the museum, preserved for posterity, and possibly included in a future exhibit. Also, please understand that we are asking for donations, not loans. We will not be able to return any posters sent. For more information please contact Forrest Roberts, Curator of Exhibits, by calling +1 270-926-7891 or e-mailing. While Gabrielle's message is sent primarily to IBMM members, the IBMM - which has always warmly supported bluegrass from outside North America - is sure to welcome bluegrass posters from any source. What a surprise - the band Monroe Crossing [USA] attended the second press conference in Bühl for the 11th International Bühl Bluegrass Festival. They were on the way from Basel, Switzerland, to Tübingen, Germany, and made a three-hour stop at Bühl, joining the press conference, where they played four songs, dressed in wonderful stage clothes. They were presented with a bottle of red wine from the area for each musician, including the driver Big Herbie [Schildhammer], and were invited for lunch by Mr Klaus Dürk, the city’s new head of cultural administration. Before lunch he invited the band for a little walk through the town showing them the church and other impressive buildings and places. A mighty happy band left Bühl to play a concert in Tübingen. At 4 May they’ll be back to play the Bühl Festival. Walter also sends two reports from the local press, one of which is reproduced above. La Roche Bluegrass Festival / July 31 - August 4, 2013 has completed and confirmed its lineup of performers. Since 2006, this FREE Festival takes place in La Roche-sur-Foron, Haute-Savoie, France. A most beautiful setting in the French Alps where a 5-day bluegrass music celebration takes place. It begins with a Bluegrass Workshop during the week leading up to the main event. The festival has 30 bands and opens its stage on Wednesday, July 31. Other features include a band contest, local performances at cafes and various venues in town, a 'Kids Corner' where children can play in a "musical garden" discovering different ways of making musical sounds -- plus kids can play with centuries-old traditional wooden toys. There is Square Dancing on Saturday, vocal & instrument Master Classes, a large Festival Market and more. Food and Beverage: The food & beverages sold at the festival are their primary source of income for the event. The festival proudly offers premium local foods, prepared by their own staff. An amazing menu variety that is second-to-none in the music festival world! 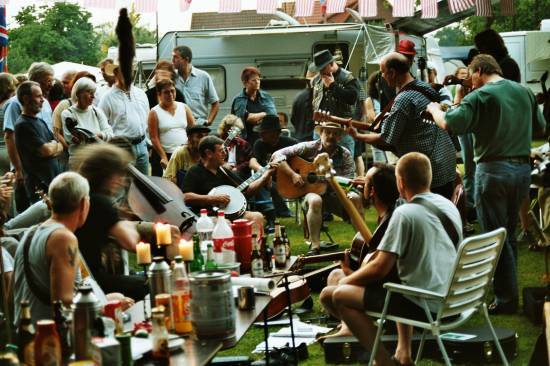 Festival attendees and musicians have praised the food and locally brewed beers in the past. Thanks to Adiaha Bürkmiller of Banjo Camp Munich for news of the Bluegrass Workshop Seminar that will be given on 27-8 April 2013 in the Bürgerhaus at Munich – Garching by Chris Jones & the Night Drivers (USA) - Chris Jones (guitar), Mark Stoffel (mandolin), Ned Luberecki (banjo), and Jon Weisberger (bass). Places are still available to join the workshop weekend. Important: The workshop is for whole bands AS WELL AS for single musicians. The level should be intermediate. For more information see the workshop web page or e-mail Adiaha. The location can be found here. Junior Sisk and Ramblers Choice are the headliners for the next big event in Switzerland, The 14th Spring Festival (in) Willisau. Junior is also in Basel the next day. So if you're coming up anyway, be sure to plan your trip around May 18th. Rawhide from Belgium and De Stroatklinkers from the Netherlands are also playing at the festival. They set up two stages, so you really get the big festival feeling while staying warm and out of the rain indoors. Even if you can't make it then, there is usually something Bluegrass going on, especially if you like to pick a tune or two. There are even two new jams that started last month. One in Pratteln by Basel and one in Aarau. There will be whole day jams in May and July. Talk about camp fire picking. 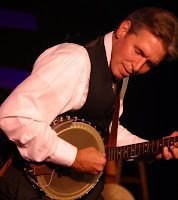 Be sure to check out the calendar of events at www.bluegrass.ch. All the jams in Switzerland are open to the public. Chris Jones will be here in early May before he goes down to Bühl, Germany for their festival. The organising committee of the 5th Bruff Bluegrass Festival in Bruff, Co. Limerick, Ireland, invites bands from Ireland, USA, and other countries to take part in this year's event (4-6 Oct.). The committee can be contacted by e-mail or 'phone (+353 (0)61 382488). 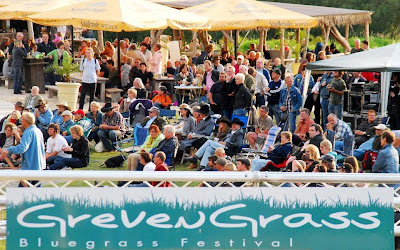 The Dutch-German friendship and ongoing cooperation at the 2013 GrevenGrass BluegrassFestival is the focus of their 5th year anniversary. This relationship has shaped the festival from its beginning. There are two Dutchman in the organization, thus GrevenGrass Festival has evolved into a cooperative effort between the two countries. When the planning for the first festival started in autumn 2008, no one ever dreamed about an event in 2013. The upcoming 5th anniversary festival has much in common with the first event, as the festival grounds have seen little change. However the program itself has evolved and improved with the planning of each new festival year. GrevenGrass is a classic bluegrass music festival and will surely be on the ’European Bluegrass Calendar’ for many years to come. The global Bluegrass Family has an open invitation from the organizers to join them this year - and every year - in Greven, Germany. Monroe Crossing (USA) back in Europe from 6th April - 4th May! Monroe Crossing - real bluegrass entertainment! "This next month is a very exciting time of travel for Monroe Crossing. We are headed back to Europe for the entire month of April. If you are one of our European friends or happen to be traveling in Europe next month, check out our calendar below to see where we will be appearing. Our travels will take us through Germany, Switzerland, The Netherlands and even Denmark. Two years ago when we toured Europe we played 8 shows in 9 days. This time we have reserved a little extra time for sight-seeing and some well-deserved down time. We look forward to seeing our European friends again as well as making some new friends along the way. It was a busy month for Bulgaria’s top bluegrass-country and swing ensemble. 11th March: Lilly of the West shot a new video clip to the song “Valentine moon”, the fourth single of the critically acclaimed album “Swings & heartaches”. Filming took place at the aristocratic marble ballroom of the Russian cultural institute in Sofia. Stylist Teodora Antova was responsible for the band’s outfits and make up; Stanko Nikolov and Plamen Petkov worked behind the camera; the video was directed and produced by Lilly Drumeva. It will be released very soon! 16th March: Lilly Drumeva was featured in an all star concert in Prague, performing with leading bluegrass musicians: Pepa Malina – fiddle (CZ), Petr Brandej – banjo (CZ), Martino Coppo – mandolin (It) and Pavel Brandej – upright bass (CZ). 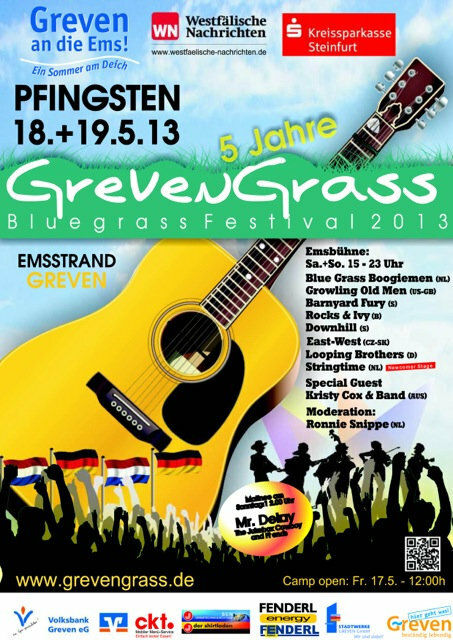 The concert was part of the European Bluegrass Summit, which took place on 15/16 March 2013 in the Czech capitol. 22nd March: Lilly of the West gave a special concert with Irish folk music to honor St. Patrick’s Day. The show was opened by Mr. John Rowan, Irish ambassador in Sofia. It took place at the Sofia city art gallery, where the band performed to a large audience. Lilly Drumeva has finalized the first bluegrass recording in Bulgarian language: “Kuntri w dushata” (“Country music’s in my soul”). 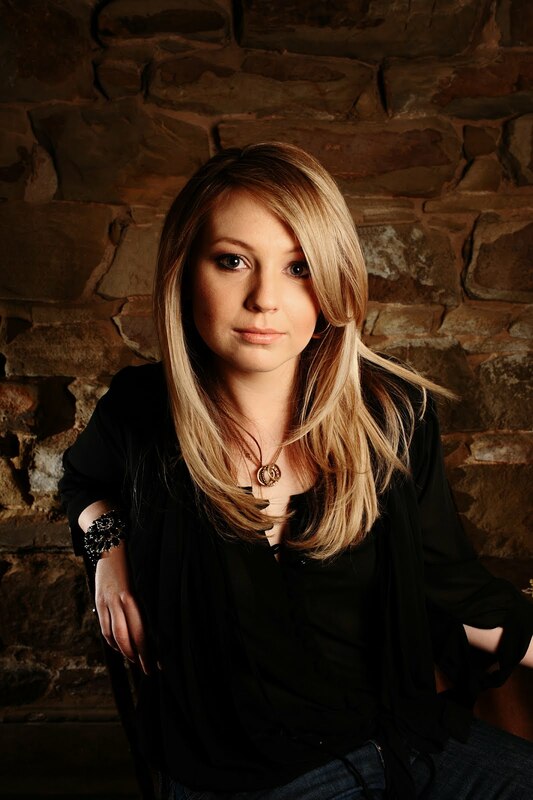 It is about her love for country & bluegrass music and her life on the road, travelling with the band. Guest musicians are “Candy Floss”, an excellent young band from Slovakia. Audio and video coming soon! Lilly of the West are currently rehearsing a new program for two concerts in May: Fri. 17th - at Studio 5 club and Sat. 18th - at Sofia city art gallery. They will pay tribute to the music of the 60s, performing songs by the Beatles, Rolling Stones, Everly Brothers, Del Shannon, Mary Hopkin, Simon & Garfunkel and many others. The shows will be presented by Bulgarian radio legend Toma Sprostranov.